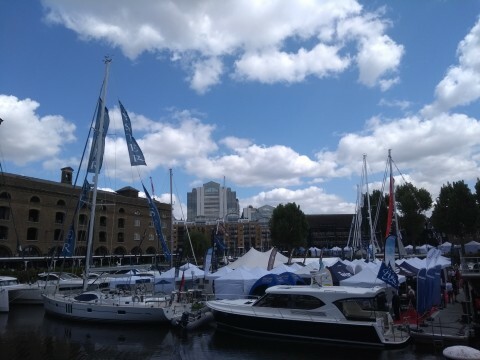 This week we visited the first day of the London On-Water Boat Show at St Katherine Docks Marina, City of London. Although a relatively small show compared with some of the end of season European Boat Shows, it was a great example of how the yachting industry is going from strength to strength at the moment, with everyone enjoying a dose of midweek sunshine in heart of the City of London. Exhibiting at the show are some of the worlds finest yacht builders as well as offerings from the Small Boat, Charter and Travel side of the industry. 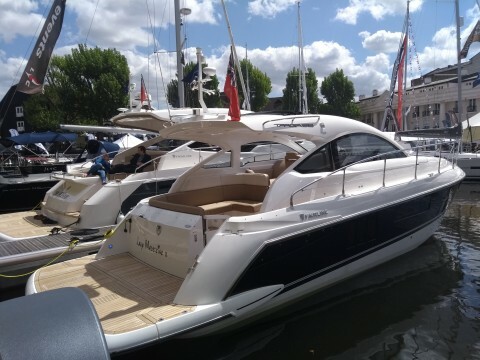 Consequently there was a wealth of Trend Marine product to see, with the likes of Galeon and Fairline showing a range of new and brokerage craft.